Got 45 minutes and a relatively steady hand? Then you have what it takes to add the luxurious feel of leather to your steering wheel!!! Join the thousands of other drivers who have purchased a Wheelskins genuine leather steering wheel wrap and treat yourself! The leather wraps come sized specifically for your vehicle's year make and model for a snug custom fit. In the box you'll find a nylon lacing cord, a needle, and illustrated detailed installation instructions with the cover exactly as you designed it on ShopSAR. The holes are pre-punched on the inside seam with a patented lacing hole reinforcement to prevent tearing during installation. You just sew it right over your wheel. The illustrated Installation Instructions provided with your Wheelskins will show you how to lace around any spokes, or to use dummy stitches at the spokes if they are wider than about 1 ½ inches where they connect to the wheel. Your Wheelskin is made of leather that is specifically tanned and finished for this product. It is recommended that you gently use only water and a soft sponge or paper towel to remove any surface soil buildup. Avoid all purpose cleaners and protectants that will remove the special finishes and coatings on the leather. Most leather cleaners that are made for leather upholstery, which have hard finishes. These cleaners are unsuitable for the softer Wheelskins and should be avoided. 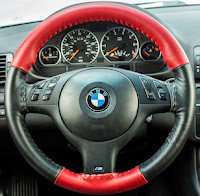 Follow these directions and you'll have a beautifully installed genuine leather steering wheel cover for years to come! 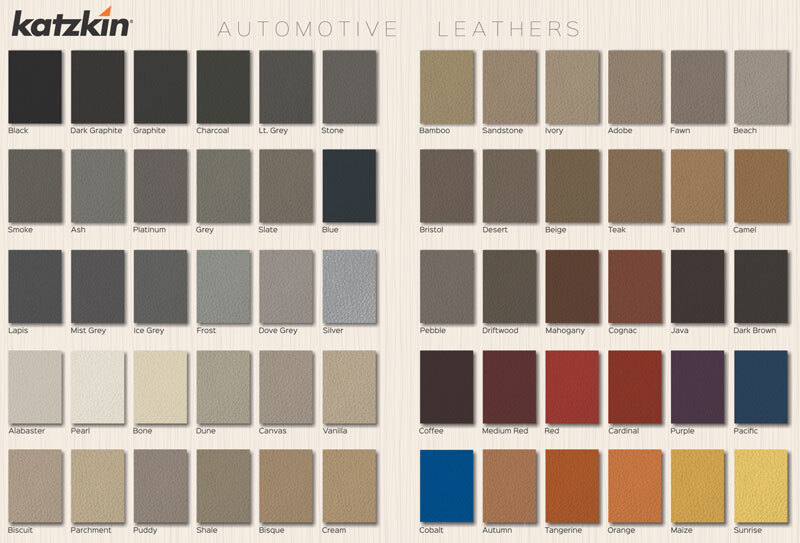 While Katzkin updates their official sample books, we are making genuine material swatch samples available on ShopSAR.com. Click here to visit our samples page where you will be able to choose up to ten colors that will be priority mailed to you, along with a color chart of additional options.